Jackpot City is a no-download required blackjack site, giving you instant access to the huge selection of games directly over your web or mobile browser, while those who prefer to play 21 using the full software suite can download the deluxe desktop casino for free. The site has a distinctively different layout to some of our other recommended blackjack sites, with a cool casino lobby that’s easy to navigate your way around. You’ll need to create an account to access the games, which will only take a couple of minutes and doesn’t require you to make a deposit to try blackjack in demo mode. 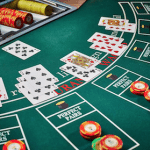 The venue is operated from the reputable gambling jurisdiction of Malta, fully supported by eCOGRA and powered by the leader in online gaming software, Microgaming. To allow punters to play more blackjack hands for less out of pocket expenses, Jackpot City welcomes new players with a mouth watering offer of $1,600 in matched deposit bonuses. This welcome offer is spread out over your first four deposits, broken down into four 100% matched deposits up to $400 each. Beyond the welcome offer, Jackpot City is known for its endless stream of promotions, with prizes that include casino credits, deposit bonuses, free spins, boosted loyalty points and even real world prizes like international holidays. Check the monthly promo calendar once you’ve signed into the game lobby for details of unique promotions every single day of the week. Games are accessible directly over your mobile browser and available on Android and iOS operating systems on a range of devices including iPhone, iPad, Samsung Galaxy, Nokia, BlackBerry and more. 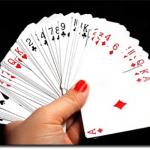 If you’re reading this on your smartphone or tablet click here to head direct to the Jackpot City mobile site and start enjoying blackjack on the go from anywhere you can get an Internet connection. Jackpot City has a great loyalty program where players are rewarded for every deposit made. The amount of reward points you receive is based on the amount of money you spend, so the more you deposit the more points you’ll accumulate (note that bets placed using bonus money do not count towards accumulating loyalty points). There are also all kinds of promos going on where you can earn extra loyalty points by playing certain games, just click on the ‘loyalty’ tab from the casino lobby once you’ve signed into your account to see what games are eligible for extra rewards. These are typically always pokies, but if you’re taking a break between blackjack hands then the smart move is to play the games with the bigger loyalty points. As you accumulate more points you move up to higher tiers, with better offers available as you level up. Points can be exchange for casino credits, in turn boosting your bankroll to allow more chances of that big blackjack win. International punters playing blackjack at foreign operated casinos can sometimes be nervous that they won’t receive the proper attention needed if a query arises, but that’s certainly not the case at Jackpot City, with a customer service hotline operating 24/7 so help is just a phone call away. There’s also a live chat option available or if your question isn’t urgent simply fill out the enquiry form in the ‘contact’ section and one of the dedicated team members will respond shortly. The team at JPC can help anything from making deposits or withdrawals, questions about the games or assistance with any technical issues.